Our Professional Team at Metamora Golf & Country Club is committed to the success of your event. From the planning, implementation and final wrap-up, we are here to serve you. We offer a variety of complete hassle free event packages to choose from or we will customize one to fit your specific needs. 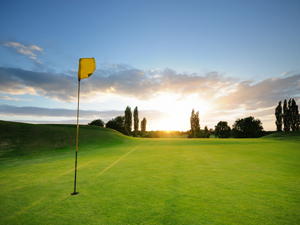 Our ‘Standard Outing Package’ includes green fees, cart and range balls. Our Professional assistance includes on course contest set-up, customized rule sheets, scorecards and cart signage and a professional cart staff to assist you. Whether it is a large charity event or a group of 12 on a golf getaway, we work hard to ensure your complete satisfaction. Over 100 corporations, associations and private groups choose us each year and return to Metamora Golf & Country Club again and again! Click here for information on Outing Packages for 2019.